Here below you can find all Eurolan products that´s been rated. It is an ongoing work and we update this page with new products as soon as they get done, so check out! 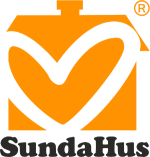 SundaHus offers property owners security, now and in the future, through a wide range of services for environmentally conscious material choices. With a web-based system and qualified counseling, SundaHus is a comprehensive solution for systematic efforts at phasing out hazardous substances in a building's lifecycle. SundaHus i Linköping AB (publ) was founded in 1990 as a consulting company for the improvement of indoor environmental quality. Today it's a leading player in the field of health and environmental assessments of building materials. Byggvaru-bedömningen is a non profit organization owned by large constructors and property owners in Sweden.